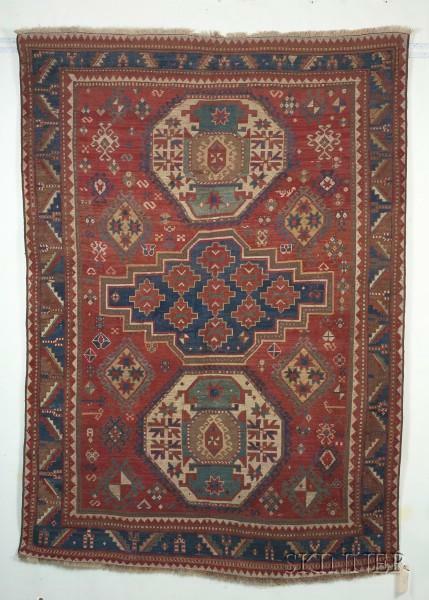 Bordjalou Kazak, late 3rd-early 4th quarter 19th century. 8'2" x 5'10"; warm color palette. Even wear throughout, no foundation visible. One end expertly rewoven.